Card-based transactions are everywhere it seems. 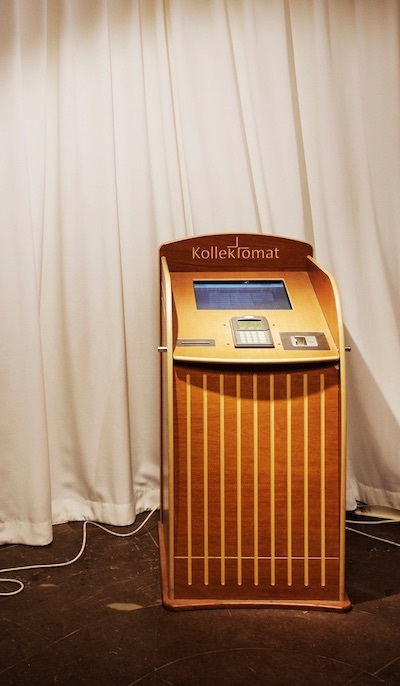 The “Kollektomat,” enabling tithing by card, at the Filadelfia church in Stockholm, is shown below. Only 15 percent of the donations to the church are cash.